Business View Magazine interviews Scott Wendrych, Executive Vice President & Chief Operations Officer for Fitness Together, LLC, as part of best practices, American business. BVM: How did you begin your association with WellBiz Brands and, more specifically, with Fitness Together? Wendrych: I actually started as a franchisee. My wife and I had moved back from Texas to Colorado and we were looking at investing in, or buying, a small business. We discovered this brand called Fitness Together and what was intriguing about it was, number one: it was in the health and wellness space, which we really liked; number two: it was a relatively small business in terms of the footprint; and, number three: the cost to open a location was relatively low compared to other businesses. 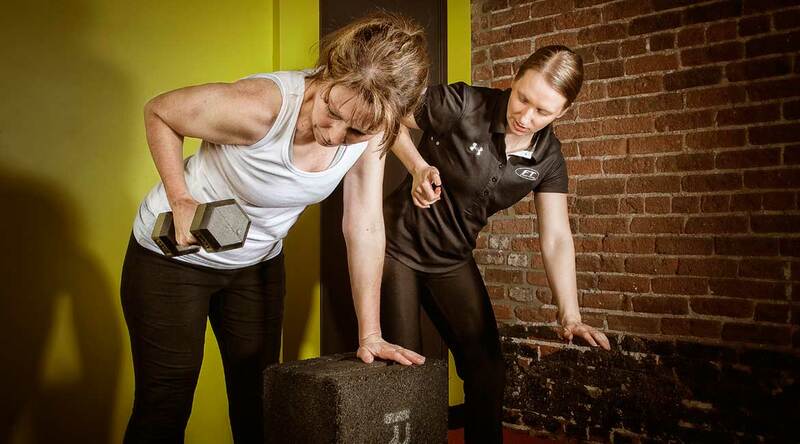 We also liked the fact that it was in a niche market within fitness, which was one-on-one, private, personal training. BVM: Can you elaborate on what makes Fitness Together different from other exercise programs? Wendrych: Our clients at Fitness Together are usually in their 40s and 50s; largely sedentary; they don’t get a lot of exercise or movement. 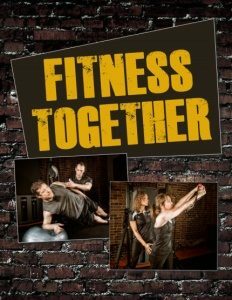 Fitness Together provides a safe place because it’s not filled with Adonis’s and people with beach bodies; it’s filled with people who are just like them. It is a small clientele base; the average location will often have between 40 and 60 active clients at any time. It is by appointment only, so you’re not dropping in, whenever, and it’s semi-private – studios have individually-equipped training suites within the facility. So, when you come in at your designated appointment time, you meet with your trainer. They have designed a program specifically for you, taking into account any health conditions, injuries, etc. and you train with them three or four days a week, whatever is prescribed. Then there’s the accountability factor. At six o’clock in the morning on Monday, Wednesday, and Friday, if you don’t show up at the studio, your trainer might call you and tell you you’re late for your appointment. So, the real magic behind Fitness Together is the privacy and the accountability. Another thing that makes Fitness Together unique and special is that because of the small number of members and staff, these people become very close, very quickly. The staff and the clients really connect because they’re seeing each other multiple times a week and they become friends. And that’s what we recognized years ago when my wife and I became franchisees. Also, the locations, themselves are convenient. The average client is driving no more than eight to ten minutes, about three miles from where they live. So, it’s easy to get to. In terms of clients – generally these are people who are apprehensive and when they come in; their reaction is: ‘Oh, this is way different than what I thought it would be.’ Because they can’t imagine walking into a place that has a small, well-equipped lobby, fresh flowers and fruit, a couple of pieces of cardio equipment in a warm-up area with flat panel TVs. Most other places are big open spaces and they’ve got a lot of other things going on, besides personal training. And, for this type of consumer, who’s going to spend $500 a month to train with our brand, that’s really important. They don’t want to walk into some haphazardly thrown-together space that doesn’t make them feel that they’re getting their money’s worth. They’re looking for a certain level of appointment that we provide. BVM: How many Fitness Together locations are there and where are they? Wendrych: We have 152 locations and they’re all franchise locations. We’re all over the country, but we have a particular concentration in the northeastern part of the country, specifically in Massachusetts, where we have nearly 50 studios, alone. It’s been a very good market for us. Outside of Massachusetts, it’s pretty evenly distributed throughout the rest of the country between the southeast, Midwest, and then up in the northwest. BVM: What do you look for in a potential franchisee? Wendrych: The common theme is either you’re from a fitness background or you’re somebody who’s a fitness enthusiast and you want to be part of our business model. What we look for are people who have those qualities and are passionate about what we do. Obviously they have to have the financial means to be able to open a Fitness Together location. And they should have the ability and temperament to manage their employees. Beyond that, it’s having the common sense to follow the model. Fitness Together is a very simple model. It doesn’t mean it’s easy, but it’s a simple model. You’re not dealing with cash; you’re setting appointments with people and you’re selling them packages. It’s a pretty predictable model. The majority of our system are owner-operators with a single location. And what we found is that it works very well with owner-operators because of the personal nature of the business, as well as the ability to form relationships with members. About 25 percent of our owners own multiple locations. Obviously, they’re participating a little bit differently than somebody who just owns a single location. If they own multiple locations, they often have a manager at one of the locations and manage the other location on a day-to-day basis. So, we’re targeting people who are going to be actively involved with the business – even if they have a manager – they’re still going to be participating in running their business. BVM: How do you support your franchisees? Wendrych: We’re very involved with the setup of the business, the launch and on-going support. We have a real estate team that helps franchisees navigate the real estate process. We’re familiar with brokers all over the country and the franchisee employs that broker. We’ve given them the site criteria and we assist the franchisee in helping them to select a great location. We already know the trade area we want to go into as a brand, because we do a lot of analysis upfront. Once we’ve done that, it’s a matter of finding the right kind of real estate. We encourage the franchisees to make sure they’re negotiating the best possible deal – the price per square foot as well as any tenant improvement dollars, rental abatement, etc. We’re in communication with them on a weekly basis, guiding them through that site selection process. While that’s happening, we have an architectural firm that we use to help us with the space planning and design of the locations, and then, of course, we may recommend contractors in every market that have done work for our brand. The franchisee selects the contractor they’d like to work with. We have weekly phone calls during that entire process, as well as during the construction and setup process. We have weekly phone calls with the project management team, as well as the operations team and the marketing team to make sure that everything is going according to plan. From a marketing standpoint, we have an experienced marketing manager assigned to the franchisee, who will help them put together a trade area profile and build a pre-opening marketing plan, as well as a post-opening marketing plan so that we know what the studio is doing to market the business; what the budget is, how much they’re spending per month, etc. And then, what’s fairly new to Fitness Together is managed digital marketing through social media channels. The franchisees still have other marketing that they have to do, and they’ll work with the marketing manager on best demonstrated tactics to help ensure everything will work together to produce the right results. From an operations standpoint, approximately 20 days before they open, we’ll be out in the field, over the course of about two days, helping them with the opening and initial operations of their studio. And then, we may be back out there when they open their doors for two to three days, as well, to make sure that all the technology is working and operationally they know what they’re doing and we can help course correct, if needed, at that point. On an ongoing basis, we host seven regional meetings across the country for franchisees. We educate around marketing and operational best practices. We also host a national conference once a year. These are times for the franchisees to get out of their businesses and spend time with their fellow franchisees. They’re similar to the regionals – they’re working sessions with a chance for us to share with the franchisees our goals and things we’re planning to accomplish and the things they want us to focus on next year as a brand. So, we’re very supportive. BVM: What does the future look like for the brand? Wendrych: We’re in a really good position; the franchisees are performing much better than they ever have. We’ve had significant annual revenue growth over the last couple of years at the studio level. From a growth perspective, our goals are very simple: to support our franchisees in growing their bottom line, and granting franchises to open between 15 and 20 locations per year. 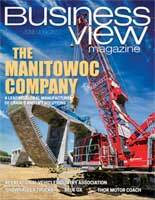 BVM: Any plans to expand internationally? Wendrych: We’ll stay in the continental United States. There’s plenty of growth left to be had, here. The areas of focus will continue to be the northeast, because we have a lot of room to grow there, as well as the southeast; and then focusing on markets like Phoenix, Seattle, Texas and Colorado. Those are markets where we want to increase our saturation. We’re not trying to be everywhere across the country. It doesn’t mean we wouldn’t entertain a discussion about opening in other markets, but those are the markets that we’re focused on right now. BVM: What would you say to a potential Fitness Together franchisee, reading this interview? Wendrych: Fitness Together is unique in that it is a business that does real, positive things for its members as well as the community around it. It makes a real difference in people’s lives. For somebody who is a fitness-minded person, who wants to be involved in actively running a business, it’s a really good brand to be part of. And when you have a passion for it, and can make a good income from it as well, that’s really cool.